Nocatee Announces More Information on Two New Neighborhoods! Greenleaf Lakes and The Villas at Nocatee will join Nocatee’s existing 11 neighborhoods. These two new neighborhoods will complement existing communities, offering new homes in a wide range of sizes and styles for everyone from individuals and families to active retirees. The third and final neighborhood (opening Spring 2014) in Nocatee’s popular Greenleaf section, Greenleaf Lakes will offer 1,400 - 3,200 square foot homes from builders David Weekley Homes, Providence Homes and Standard Pacific Homes, with prices starting in the $200’s. 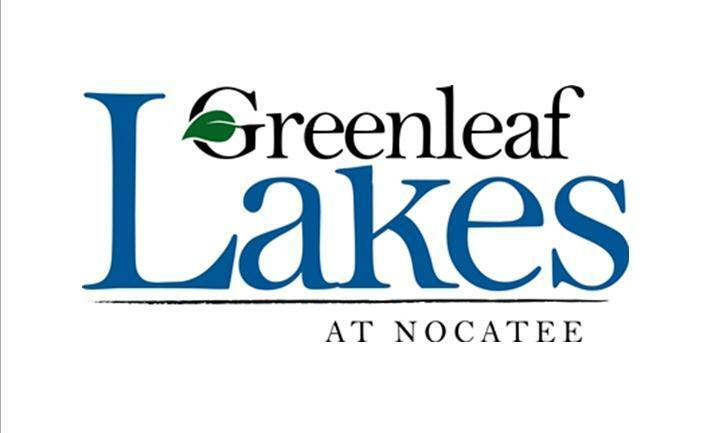 In addition to enjoying all of Nocatee’s other amenities, Greenleaf Lakes residents will be located within walking distance of Greenleaf Park and the new Nocatee K-8 St. Johns County School. Greenleaf Lakes will also offer quick and convenient access to U.S. 1. Set to open in Fall 2014, The Villas at Nocatee will be a gated community featuring its own pool and other amenities. Residents will also have access to Nocatee’s full complement of amenities, including the Splash Water Park, fitness center, walking trails and more. The 1,900 - 3,300 square foot Standard Pacific villas will feature two homes attached with one conjoining wall. Homes may feature two to four bedrooms and will be available in a range of elevation-styles, including Spanish, European Cottage and Italianate. In addition, all of the villas will feature either a preserve or water view. Due to less home maintenance and upkeep, this community of new homes is expected to be especially popular with empty nesters and active retirees that want to enjoy the Nocatee lifestyle. To learn more about the Nocatee community, stop by the Nocatee Welcome Center or call 1-800-NOCATEE. And to read the Jacksonville Business Journal’s Nocatee news coverage, Two New Communities on Tap for Nocatee, click here: http://buff.ly/1cHd2sc.